While dramatic images of swaying and collapsing bridges may be first to spring to mind, human induced vibration is more often manifested in vague feelings of discomfort, rather than catastrophic structural damage. The vibration generated by footfall in a building is typically between 4Hz an 8Hz, frequencies to which we humans are most sensitive. 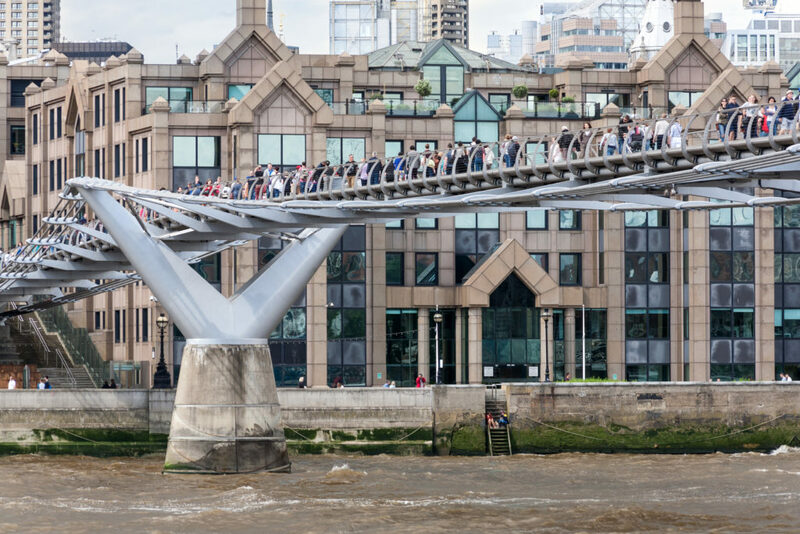 The London Millennium Footbridge is a common example of a structure not responding to vibrations as expected. Vibration can also render a building unfit for purpose – the smallest vibrations may disrupt work in laboratories with sensitive equipment like Princeton University’s Frick or operating theatres with equally sensitive surgeons. Human induced vibration has to be designed out within acceptable parameters, and Oasys GSA provides the FEA tools, weighted data curves and modelling tools to allow for testing, revising and reiteration. It enables engineers to apply any of the four relevant AISC, SCI and Concrete Centre codes, GSA supports all four guidelines. Engineers starting to delve into problems with footfall vibration can see a demonstration of Oasys GSA’s FEA footfall vibration analysis features and find out more about the science behind it, in our Introduction to Footfall Vibration and Analysis webinar. See also GSA’s contribution to the design of the Helix Bridge in Singapore, a structure particularly sensitive to footfall vibration.